My dad and both of my grandfathers are masons. Consequently, as a kid, I could always find a copy of Albert Pike's, "Morals and Dogma", or a lodge monitor, full of geometric diagrams, on the bookshelf. My dad and I would talk about geometry problems like Euclid's 47th problem, the Pythagorean Theorem. Dad told a story that Euclid had proposed this problem to his student Pythagoras by sketching it in the sand while walking along the beach. 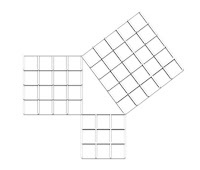 Then, by drawing out a right triangle and making squares of the sides, Dd would show that the squares in the Pythagorean formula had geometric as well as mathematical meaning. 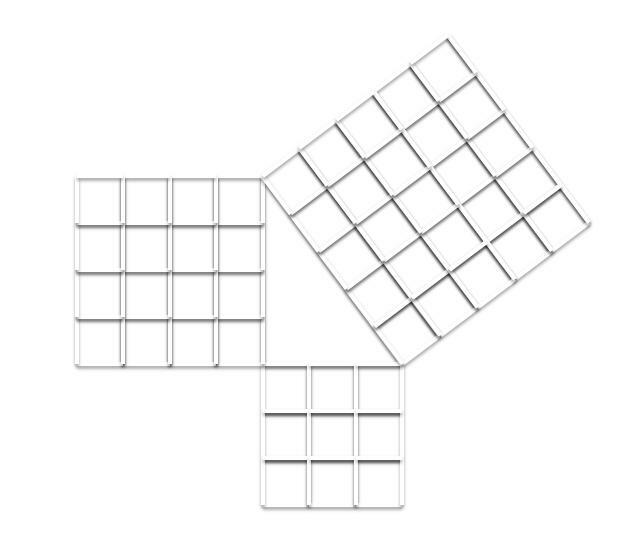 The areas of squares made from the short legs of the triangle will add up to the area of the square made from the long leg of the triangle. Geometry presented as a story instead of a dry rigorous science is what held my interest as a kid and is what has piqued my recent interest in the new series "Touch" and "Daybreak" with their references to 'Sacred Geometry' and Platonic solids. In the case of "Touch", the happy coincidences theme has also struck a chord. On his way to the Philipines to serve in the Army Signal Corps in 1960's, my dad was bumped from three separate flights that were supposed to take him to the island base. He finally had to hop a ride on a Naval ship. He found out later that all three planes had gone down over the Pacific. 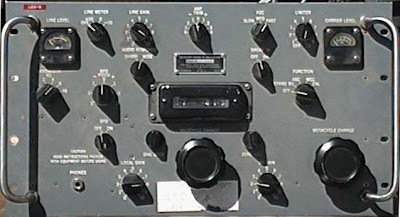 My dad developed an interest in radios while in the Signal Corp that was a big part of my childhood as well. One afternoon, my dad turned up with two of his buddies and a giant radio that took two of them to lift onto the tabletop. It was covered with dials and full of gears and mechanized plungers and glowing vacuum tubes. My dad intended to become a ham radio operator. He's still not licensed, but I was hooked, and a mere twenty years later got my license. I work kind of slowly sometimes. So, I was intrigued to say the least when episode 8 of Touch opened with a vacuum tube falling onto the floor of an MTA bus from what later turned out to be a ham radio. This ham radio would go on to be pivotal in the efforts to save the life of an Italian astronaut. The astronaut in question happened to have an experimental comm system designed by his engineer wife. In case your wondering if ham radio can really be used to speak with the International Space Station, the answer is yes! Here's a video of ham radio operators and high school students speaking with astronauts on the ISS.